Gaming can get quite time and resource consuming, but two gamers have reached a new low in pursuit of virtual gratification. A southern Chinese newspaper is reporting that a young Chinese couple has been found guilty of selling their three children off to support a gaming habit. It sounds like a ludicrous scenario but according to Sanxiang City News, the couple from Dongguan, China first met in 2007 in Internet cafe; both were under 21 years old. Bonding over a mutual online gaming obsession, the two eventually had their first child a year later. However, the couple couldn’t be weaned from online gaming and within a few days of their son’s birth they left him home alone so they could trek to an Internet cafe 18 miles away. Li Lin and Li Juan didn’t begin selling children until 2009 with the birth of their second child, a baby girl. Graduating from simple neglect, the young couple sold the baby girl to fund their obsession and received a short-lived sum equivalent to $500. With the success of the baby girl they then proceeded to sell their firstborn son and received close to $4600 for him; almost ten times the amount as the girl. The next child they had was another son who was sold for the same amount $4600. The two were finally turned into the authorities by Li Lin’s mother who discovered what was happening to her grandchildren. It was reported that the couple didn’t know that they were breaking a law. Chinese newspapers have had a tendency to embellish stories in the past, but China has had a history of online gaming problems. In 2007 a man’s three day gaming binge in Guangzhou actually led to his death. 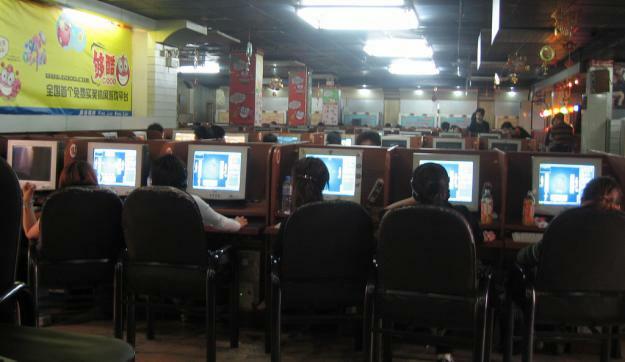 The Chinese government has attempted to control the problem by setting time limits on game play and even banning the creation of new internet cafes.